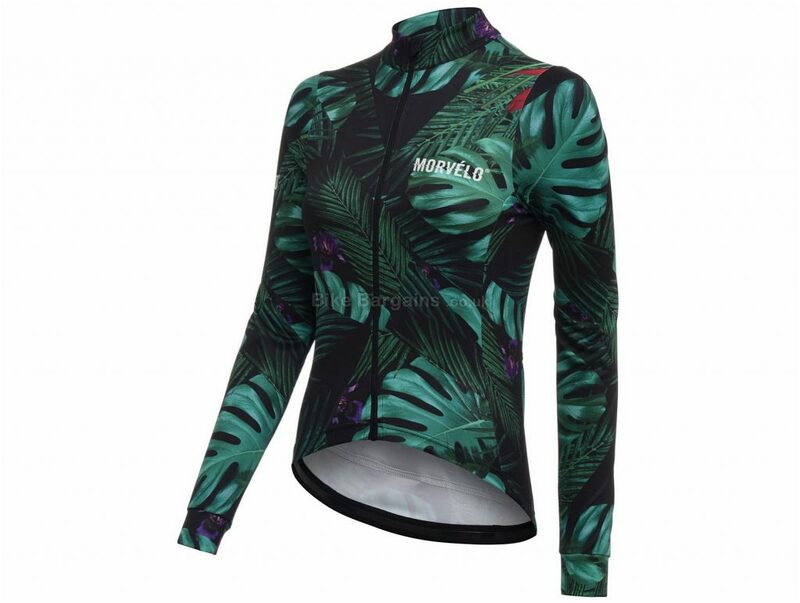 Hit winter where it hurts before it gets to you thanks to the Women's Winter Jungle Long Sleeve Jersey from Morvelo. 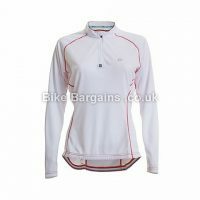 This is an exclusive new design based on the classic Thermoactive range of jerseys, so it's a perfect meeting of the old and the new: it's the same old high level of thermal performance to get you riding through the coldest climates, alongside an exciting and eye-catching style and female-specific panelled construction. It's still as versatile as you've come to expect too and works just as well on its own when it's cool or as a highly effective base when it really starts to bite. And of course, the cut of the jersey is as brilliant as ever. 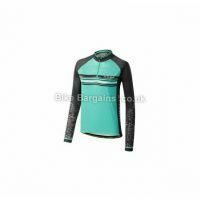 As well as the aforementioned panelled construction that allows the jersey to adapt to your individual body shape, the close fit of the longer arms keep up those aero gains without restricting movement, while the high collar sits perfectly in place as you ride. 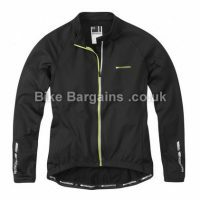 A zip garage prevents rubbing on the front of the jersey, there are a total of four roomy cargo pockets (three angled in the back that are easy to reach, an extra fourth hidden away within the side seam), and reflective details help keep your visibility high. 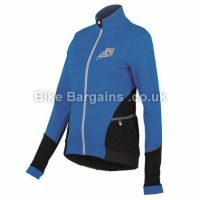 Material: 100% Polyester Long close-fit arms High and contoured collar + closed cuffs Stretch side and arm panels Silicone gripper at the hem Full length YKK cam-lock zip + Full length zip guard Zip garage 3 angled deep rear pockets + 4th hidden zipped pocket in side seam Panelled construction for superior fit Reflective details Handmade in Europe. View more info about Morvelo's performance cyclewear.